In the Council Chamber of the City Hall at Birmingham, built by Mr. Joseph Chamberlain at the end of the last century, the Central Council held its 48th annual meeting on Whit Tuesday. For six years, through the circumstances of war, the Council has not met. The meeting was memorable in character and at the conclusion one veteran ringer declared that ringing history had been made that day. Nothing was lacking in the admirable local arrangements for the meeting. The Lord Mayor (Ald. W. T. Wiggins-Davies), accompanied by the Archdeacon of Aston, (the Ven. H. McGowan) and Mr. A. Paddon Smith, came in person to welcome the president (Mr. E. H. Lewis). With them on the platform were Mr. G. W. Fletcher (hon. secretary), Mrs. Fletcher, Mr. A. A. Hughes and Capt. W. H. J. Hooton. Of outstanding interest was the report of Mr. G. W. Fletcher on the acquisition of ‘The Ringing World’ from the executors of its founder, the late Mr. J. S. Goldsmith. The announcement of ‘The Ringing World’s’ sound financial position with a cash balance of £900 was received with great satisfaction. Resolutions were passed with acclamation expressing the Council’s appreciation to the committee which negotiated the paper’s purchase and had conducted the business side. The reports of the committees in most cases embraced six years. The Rev. F. Ll. Edwards dealt with Literature, Press and Broadcasting, a live topic, and the practical observations of the president on towers and belfries was helpful to the members. A new association - the Universities - was elected to membership. BIRMINGHAM AND THE CENTRAL COUNCIL. ‘When in the early days of this war a ban was imposed on the ringing of bells it seemed to some of us that Sunday had lost some of its meaning and we all greatly rejoiced when that ban was lifted and the bells were allowed to play their part in the scheme of things. After acknowledging the welcome, the President said: We should, according to our normal cycle of meetings, have met in London this year, because we meet once in London and twice in the provinces in a three-year cycle, but at the time we were making arrangements for this meeting there were certain circumstances that made it unwise to go to London. One was the great difficulty of getting any accommodation and the other was the continual arrival of unwelcome visitors to the City of London. At the time we had to make the decision I was sitting on a seat in a train at Euston when one of these visitors became overheated and exploded overhead and some of the fragments dropped within two or three yards from where I was sitting. We did not want that sort of welcome, therefore we decided not to give our usual consent to London, but came to Birmingham as the best alternative. The Lord Mayer had referred to the pleasure given by the ringing of bells and asked whether it was the quality of the bells or the ringers that made the better music. I would say that it primarily depends on the quality of the bells, because a bad peal of bells, however well rung, cannot sound pretty music. But a good ring can be spoilt by bad ringers, or what we call bad striking. Birmingham is very lucky because there has always been in the city good ringers and good strikers. If there is any question in this district as to whether the pleasure is due either to the bells or the ringers, we can say for certain it is due to the bells because we know the ringers are all right. One of those ringers whose loss we deplore is the late Ald. Pritchett, who was not only a well-known ringer, but a good supporter of this Council, and whose wise judgment and wide legal knowledge helped us in many ways. It has been a tremendous thrill to the ringers of this country to be able in the past few days to report the end of the war in Europe and rejoice in the victory and the end of what I might call Act 1 of the war. Not that it is quite the end, because I do not think Act 1 is finished until all the villains that came on the stage have been rounded up and properly dealt with. Well, the victory is complete in Europe and we are very pleased to play our part in the celebration and we are looking forward to once more voicing the feelings of the nation in the complete victory over all the Axis powers. The Lord Mayor said something about us going forward from strength to strength. I think at the moment the prospect of ringing is very good. There has been a tremendous accession of young people anxious to become ringers all over the country, and if they can only be properly instructed the prospect for the Exercise is very good indeed, provided we do not go and spoil it by the quality of the ringing not being what it should be. We hope that this Council will take such steps that the number of young ringers will be properly taught so that they can make the sound of the bells in the future welcome to the public on every occasion. Thank you, Mr. Lord Mayor, for coming here and giving up your valuable time and giving us a civic welcome. The Archdeacon of Aston (the Ven. H. McGowan) led the Council in prayer. The hon. secretary, presenting a report on membership and representation, said it was very pleasing to report that in spite of the troubles of the war years practically all of the associations affiliated to the Council in 1939 had remained loyal - had paid affiliation fees for each year, and, notwithstanding decreased membership, had based their fees on pre-war numbers. There were three exceptions. They had no news of the Cleveland and North Yorkshire Association and the Romney Marsh and District Guild. The Gloucester and Bristol Diocesan Association requested affiliation on the terms that they paid one year’s fees only, and be treated as if they had left the Council in 1939. They had lodged the sum of £1 for the 1945 fees, and it was for the Council to decide whether their application be accepted. They had also received an application for affiliation from the Universities Association, who had elected one representative. Mr. G. W. Fletcher then moved that the Gloucester and Bristol Diocesan Association be elected on the terms stated. Mr. A. Paddon Smith seconded and the resolution was carried with three dissentients. Mr. Fletcher then moved that the Universities Association be elected to membership. This was carried unanimously. The hon. secretary stated that the Council now consisted of 42 associations entitled to 132 representatives and 15 honorary members. The attendance roll was as follows: Ancient Society of College Youths, Mr. A. B. Peck; Bath and Wells Diocesan Association, Mr. J. T. Dyke; Cambridge University Guild, the Rev. B. F. Sheppard; Devon Guild, Mr. W. C. Wakley; Dudley and District Guild, Mr. F. Colclough; Durham and Newcastle Diocesan Association, Mr. W. H. Barber; East Derbyshire and Notts Association, Mr. C. W. Metcalfe; Ely Diocesan Association, Mr. F. Warrington; Essex Association, Miss H. G. Snowden; Gloucester and Bristol Diocesan Association, Mr. W. B. Kynaston; Guildford Diocesan Guild, Messrs. G. L. Grover, A. C. Hazelden, A. Harman and A. H. Pulling; Hertford County Association, Mr. W. Ayre and Mr. H. G. Cashmore; Irish Association, Mr. R. S. F. Murphy; Kent County Association, Sergt. E. A. Barnett, Mr. T. E. Sone, Mr. G. H. Spice; Ladies’ Guild, Mrs. G. W. Fletcher, Mrs. R. Richardson; Lancashire Association, Messrs. P. Crook, G. R. Newton, W. H. Shuker, A. Tomlinson; Lincoln Diocesan Guild, Messrs. G. E. Feirn, J. A. Freeman, R. Richardson; Llandaff and Monmouth Diocesan Association, Mr. J. W. Jones; Middlesex County Association, Messrs. J. E. L. Cockey C. T. Coles, G. W. Fletcher; Midland Counties Association, Mr. H. J. Poole; Norwich Diocesan Association, the Rev. A. G. G. Thurlow; North Staffordshire Association, Mr. A. Thompson; Oxford Diocesan Guild, Mr. A. D. Barker, Canon G. F. Coleridge, Mr. R. A. Post; Oxford University Society, Mr. J. E. Spice; Peterborough Diocesan Guild, Messrs. G. W. Jeffs, W. Rose, G. S. Valentine; St. Martin’s Guild, Mr. A. Paddon Smith; Salisbury Diocesan Guild, the Rev. F. Ll. Edwards, Mr. F. W. Romaine, Mr. W. C. West; Society of Royal Cumberland Youths, Mr. G. W. Steere; Stafford Archdeaconry Society, Mr. H. Knight, Mr. C. Wallater; Surrey Association, Mr. D. Cooper; Sussex County Association, Mr. R. G. Blackman, Mr. F. W. Dallaway, Mr. F. I. Hairs, Mr. O. Sippetts; Swansea and Brecon Diocesan Guild, Mr. D. H. Bennett; Warwickshire Guild, Mrs. D. E. Beamish, Mr. F. W. Perrens; Winchester and Portsmouth Diocesan Guild, Mr. G. Pullinger; Worcester and Districts Association, Messrs. B. C. Ashford, S. T. Holt, J. D. Johnson; Yorkshire Association, Messrs. P. J. Johnson, L. W. G. Morris, S. F. Palmer; Universities Association, Miss M. R. Cross; hon. members, Mr. C. Dean, Capt. W. H. J. Hooton, Messrs. A. A. Hughes, C. F. Johnston, E. H. Lewis, F. Sharpe, J. F. Smallwood, J. A. Trollope, E. C. S. Turner, A. Walker, E. Alex. Young. These were received from the following; Major J. H. B. Hesse (hon. member); Messrs. J. Parker, G. Gilbert (Society of Royal Cumberland Youths), T. H. and T. W. Taffender (London County Association), G. Williams and F. W. Rogers (Winchester and Portsmouth), Canon C. C. Marshall (Yorkshire), Messrs. T. Groombridge (hon. member), W. C. Duffield and Nolan Golden (Norwich Diocesan Association), H. Dedman (North Notts), C. J. Sedgley (Suffolk Guild), L. Evans (Hereford), F. M. Mitchell (Kent County), E. Stitch (Llandaff and Monmouth), A. E. Sharman (Bedfordshire), G. H. Cross (Society of Royal Cumberland Youths), E. G. Fenn (Ancient Society of College Youths), H. Baxter (Peterborough), G. E. Debenham (Hertford), W. G. Wilson (Middlesex), J. T. Godwin (Salisbury), and F. E. Dukes (Irish Association). Shropshire Association wrote regretting they would not be represented owing to the sudden death of their member, Mr. W. Saunders. The new members were then received by the president. Mr. A. Paddon Smith, in proposing the re-election of Mr. E. H. Lewis as president for the next three years, said Mr. Lewis was the right man for that job, and they could not do better than re-elect him. He had been their president for 12 years, and it was his privilege to propose him on the last occasion at the Middlesex Guildhall. Canon G. F. Coleridge, in seconding, remarked that the presidency could not be in better hands than Mr. Lewis’. The resolution was carried with enthusiasm. In thanking the Council, the President said be would endeavour to do his best. He felt that he had not always, in the last few years, done all that he might have done. In spite of what had been said he felt that the years were creeping on and before long they would have to look for someone else to occupy the chair. In a few years’ time he hoped to have a little more leisure. The re-election of Mr. G. W. Fletcher as hon. secretary and treasurer was proposed by the president, who said that Mr. Fletcher had done marvellously for them, particularly in these difficult last six years. He had done a great deal of work behind the scenes. Capt. W. H. J. Hooton was re-elected as hon. librarian for the next three years on the proposition of the Rev. F. Ll. Edwards, seconded by Mr. A. Walker. Mr. C. T. Coles and Mr. A. A. Hughes, the retiring auditors, were re-elected on the proposition of Mr. G. R. Newton, seconded by Mr. R. Richardson. The members of the Central Council of Church Bellringers assembled at Birmingham humbly desire to offer to your Majesty their loyal felicitations on the victorious conclusion of hostilities in Europe. The ringers of Britain have just cause to be proud of the part that they have been permitted to play in the celebration of the great victory achieved, and it is their earnest prayer that within a short time it may be their privilege to proclaim with the music of the bells the conquest of the last enemy remaining and the complete restoration of peace and liberty to every part of your Majesty’s Dominions.- Edwin H. Lewis, president. On the proposition of Mr. C. T. Coles, seconded by Mr. P. J. Johnson, the following honorary members were re-elected; Messrs. A. A. Hughes, E. C. S. Turner, E. H. Lewis, A. Walker, G. E. Debenham, the Earl of Shaftesbury, Major J. H. B. Hesse, Messrs. C. Dean, T. Groombridge, C. F. Johnston, J. F. Smallwood, F. Sharpe, J. A. Trollope, E. A. Young and Capt. W. H. J. Hooton. The President announced that there were five vacancies which times thought desirable to keep open as in the past. There was, however, one exception. The hon. secretary then proposed the election of Miss L. K. Bowling, of Leeds, ‘for work being done by her and work to be done for the Council.’ Mr. E. C. S. Turner seconded and the resolution was carried. The loss through death of the following members of the Council was announced:- Mr. E. F. Poppy, Suffolk Guild (1924-1928); Mr. J. H. Cheesman, Kent County Association (1903-1911 and 1918-1936); Mr. C. F. Winney, College Youths (1894-1896, 1900-1908, 1930-1936); Mr. H. Barton, Winchester and Portsmouth (1900-1902 and 1924-1939); Mr. C. H. Howard, Essex Association (1906-1935); Mr. W. A. Cave, hon. member (1909-1911 and 1921-1940); Mr. W. D. Smith, College Youths (1891-1899); Mr. G. B. Lucas, Middlesex Association (1891-1896); Archdeacon Parry, Lincoln Diocesan Guild (1924-1940); Mr. S. H. Wood, hon. 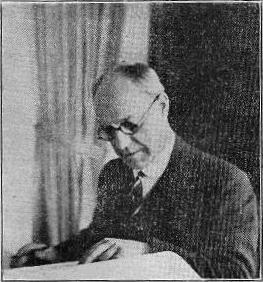 member (1931-1940); Alderman J. S. Pritchett, hon. member (1894-1899 and 1900-1939); Mr: J. Hunt, Bath and Wells Diocesan Association (1918-1940); Mr. W. Willson, Midland Counties Association (1921-1932); Mr. G. Lindoff, Irish Association (1920-1941); Mr. T. J. Elton, Stafford Archdeaconry (1924-1935); Mr. W. Bibby, Chester Guild (1912-1914 and 1921-1923); Mr. G. Dent, Essex Association (1915); Mr. G. Popnell, Llandaff and Monmouth (1933); Mr. J. S. Goldsmith, hon. member (1927-1939); Mr. S. H. Hillier, Salisbury Guild (1927-1942); Mr. C. Mee, Suffolk Guild (1900-1908 and 1922-1940); Mr. W. J. Nevard, Essex Association (1894-1935); Mr. C. H. Jennings, Salisbury Diocesan Guild (1930-1943); Mr. T. B. Worsley, Lancashire Association (1935-1944); Mr. J. H. Swinfield, Midland Counties Association (1927-1943); Mr. F. E. Dawe, first secretary to the Council for one year, 1891 (1891-1942); Mr. T. Redman, Lancashire Association 1911-1914); Mr. J. Shepherd, Lancashire Association (1902-1905); Mr. W. E. Wilson, Lancashire Association (1917-1926); Mr. J. R. Taylor, Lancashire Association (1917-1920 and 1924-1926); Rev. W. P. Wright, Cleveland and North Yorks (1904-1932); Mr. C. R. Lilley, Shropshire Association (1924-1926); Mr. W. J. Jeffries, Kent County Association (1912-1914); Mr. R. T. Woodley, College Youths (1891-1893); Mr. A. Hardy, Society of Royal Cumberland Youths (1903-1905); Mr. J. P. Hyett, Hereford Diocesan Guild (1936-1939); Mr. J. Austin, Gloucester and Bristol Diocesan Association (1908-1920 and 1932-1944); Mr. A. L. Coleman, Norwich Diocesan Association (1908-1911 and 1918-1944); Mr. W. Story, Durham and Newcastle Diocesan Association (1909-1932); Mr. G. R. Pye, Essex Association (1918-1942); Mr. W. Saunders, Shropshire Association (1927-1945). The President said with such a formidable list he did not desire to say anything. They were all very well known and of prominence in the Exercise, but if there was one name he would single out it was that of Mr. Stephen Wood, because he looked upon him as a future occupier of that chair, as his outstanding abilities and his youth commanded. The members stood in silence as a token of their esteem. Capt. W. H. J. Hooton reported that in July, 1940, the library, together with the bulk of the publications, was put into store in Rugby. A small stock of publications was sent to Staverton. These the Rev. E. S. Powell undertook to distribute, and the thanks of the Council were due to him for this. Unfortunately, it was not found practicable to replenish his stocks from store. As soon as he could sort the library after its arrival in November, 1944, he found all books and MSS. in good condition. A card index of the library, books and MSS had recently been completed and a list could now be printed for circulation. This index did not as yet include the collection of society, guild and association reports, nor the late Sir Arthur Heywood’s papers. The following gifts were acknowledged: ‘Ringing Worlds,’ 1937 to date, from Mr. G. W. Fletcher; contents of the ringing library lent by the Rev. R. Copeman; Mr. J. J. Parker, MMS., books and papers; Mr. G. R. Newton, ‘Church Bells of England’; Mr. F. Sharpe, ‘Church Bells of Berkshire,’ Parts 2-8, and ‘Church Bells of Bicester Deanery.’ Mr. C. T. Coles had offered to present some books to the library. He moved the adoption of the report. The reception of the report was seconded by Mr. A. C. Hazelden and carried unanimously. The hon. secretary said the Standing Committee recommended that they proceed as normally as possible with the printing of this library list, together with a copy of rules and such information as it was necessary to pass over to members. As soon as the paper shortage became less acute it was proposed that they should get on with the printing. The chairman moved that the hearty thanks of the Council be given to the Rev. E. S. Powell for carrying on with the sales of literature when their librarian was otherwise occupied in the North of England. They were very lucky in having someone who could store their books in a comparatively safe area. This resolution was carried unanimously as well as an expression of thanks to the donors of books. In presenting the accounts of the Council, the hon. secretary and treasurer said the magnificent sum of £193 had been paid to the Council by the way of affiliation fees for the years 1939-45, and this figure would be of very great assistance when they tried to make up leeway in the printing programme arranged in May, 1939. The sale of investments, £143 1s. 3d., was explained by the purchase of the goodwill of ‘The Ringing World’ (£200) There was a further sum of £2 1s. 9d. as subscriptions to a ‘Surprise Book,’ and the total he now held for that was roughly £7. They would remember that they asked associations to take up copies of the proposed book. Perhaps the time had come when they would be able to return these moneys as they would be able to carry the burden themselves. To ‘The J. H. S. Library Fund,’ £20 had been given anonymously by a well-known ringer, and it was to create a fund to pay the expenses of their representative going to a certain place to pack up and dispatch to their library the whole of the books and ringing papers belonging to this very well disposed member of the Exercise. That money would be held in trust until his passing. The balance of £258 11s. 4d. at Whitsun, 1945, as against £115 11s. 8d. at Whitsun, 1939, was the highest they had had for sometime. Mr. A. Walker seconded and the accounts were adopted. Mr. A. A. Hughes reported that the accounts were audited by Mr. Coles and himself and everything was in perfect order. A report on the Carter ringing machine was presented by Mr. E. Alex. Young, in which he stated the machine was removed to a place of safety. It was recently examined by Mr. Sharman, who reported that it was working well. The report of the trustees was accepted. The President reported that there was no report of the Peal Collection Committee. They had lost two of the important members by death. The work which was done by the late Mr. Lindoff had been received by the secretary. Mr. G. R. Newton and Mr. H. G. Cashmore, the retiring members, were re-elected, with Mr. Cashmore as convener. It was also decided to give them power to co-opt. Mr. Newton suggested to the Standing Committee that the collection of peals should contain a foreword paying tribute to the great work of Mr. Gabriel Lindoff; so the book would be more or less a tribute to his memory. No report was received from the Methods Committee, whose members, Messrs. J. A. Trollope (convener) and E. C. S. Turner, were re-elected. The President suggested that it was not desirable to alter that committee while the work in hand was still not printed. Regarding the Peal Analysis and Records Committee, Mrs. Fletcher reported that the peal analyses for the years 1940-1943 had been published in ‘The Ringing World.’ The analysis for 1944 was now complete and ready to be published; probably it would be published three or four weeks after the meeting. She moved the adoption of the report, and Mr. C. Dean seconded. The secretary reported that the Standing Committee recommended that the work of this committee should be divided and a new committee called a Records Committee be appointed. The work of the Records Committee would be research and typing. It was suggested that Miss Bowling, of Leeds, should be on this committee. Mr. A. Walker proposed and Mr. C. T. Coles seconded that the committee be divided. Messrs. C. Dean (convener), G. L. Grover and W. Ayre were appointed to the Analysis Committee, and Mrs. Fletcher (convener) and Miss Bowling to the Records Committee. During the years that have passed since we last met we have endeavoured to keep in close contact with all matters affecting our affairs, to maintain the prestige of our craft, and to render what services we could to the authorities. In the days before the ban, when limited ringing was permitted, many matters were referred to us by the Ministry of Home Security, and we were able to give assistance in the drafting of official notices. We were aware of the total ban before it was actually in force, but although we made representations as to the need for it, the fact that, the War Office had reserved the bells for its own use in the interests of national security rendered any further action inadvisable. With the imposing of the ban we immediately asked what service the members of our affiliated societies could render, and received a cordial letter of thanks for the offer. A further letter from us as to how it was proposed to ring the bells for an emergency brought the reply that the Army Council were not concerned how bells were rung provided they were rung. An application by us for the protection of historic bells brought the reply that unless the bell was available for use in the present conflict no claim could be made for it in future history. Permission was, however, given to remove the ropes in these cases, and it is interesting to note that with this exception only, all other bells were reserved for war purposes. Thus when we were asked for advice as to the taking down and storing, we refrained from giving such advice. There can be no doubt that the War Department expected it would be necessary to use the bells, for at a much later date they asked what steps were necessary on their part to maintain the bells for immediate use. After the victory ringing for El Alamein the London Press were quite willing to start an agitation for the resumption of ringing, but enquiries showed that the War Department still considered that the emergency existed. The appeal by the authorities to avoid unnecessary travel, the difficulties of hotel and meeting room accommodation, coupled with the fact that many of the members were engaged on urgent war production, influenced the decision to abandon meetings, and, in fact, the meeting arranged last year was only cancelled at the last moment at the request of the Ministry of War Transport. To partly overcome the difficulties arising regarding the election of officers and honorary members, the committee at their meeting held on February 20th, 1943, resolved that the officers continue in office, and that honorary members retain their membership. Your committee, under the authority given by the Council, appointed a sub-committee to deal with matters affecting the circulation of ‘The Ringing World,’ and we now present their report. (1) Meeting at Woking of members of the Standing Committee, when the Executors stated that they proposed to cease publication. The committee decided that if the Executors would continue for a time, consideration would be given to the purchase and a guarantee against loss would also be given until a decision was reached. (2) Preparation approximate accounts to date of death to more fully understand the position. (3) Meeting of the Standing Committee to consider figures available. (4) Appointment of sub-committee to negotiate, with power to act. The negotiations for the purchase of the copyright proved somewhat difficult, and at one time it seemed that they would fail. The offer that was finally accepted was £200 for the goodwill, blocks and records; to pay the sum of £90 to Mrs. Renshaw for her services; to provide the Editor’s salary and expenses, and to bear any losses from June 5th, 1942. To prepare accounts for the Executors from January 1st, 1940, to June 5th, 1942, and to collect the outstanding debts, estimated at £700. To finance the transaction it was decided (1) to sell the Council’s investments and apply the proceeds in the purchase of the copyright; (2) to seek permission of the donors to the J. S. G. Fund to use the remaining moneys of the fund for the benefit of the paper; (3) to invite all affiliated associations to advance sums by way of loan. The investments were sold and yielded a profit of £43 1s. 3d. Without exception permission to use the J. S. G. moneys was readily given, and the sum of £241 10s. 3d. thus became available. The response to our invitation to associations was very disappointing, and the thanks of the Council are due to the following, who readily came to our aid when money was most needed:- Ancient Society of College Youths, Barnsley and District Society, Bath and Wells Diocesan Guild, Chester Diocesan Guild, Devon Guild, Durham and Newcastle Association, East Derbyshire and Notts Association, Ely Diocesan Guild, Guildford Diocesan Guild, Hertford County Association, Irish Association, Ladies’ Guild, Lancashire Association, Lincoln Diocesan Guild, Llandaff and Monmouth Diocesan Association, Middlesex County Association, North Staffordshire Association, Norwich Diocesan Association, Oxford Diocesan Guild, Oxford Society, Oxford University Society, Peterborough Diocesan Guild, St. Martin’s Guild, Birmingham, Scottish Association, Shropshire Association, Society of Royal Cumberland Youths, Society for Archdeaconry of Stafford, Truro Diocesan Guild, Warwickshire Guild, Winchester and Portsmouth Diocesan Guild. The amount advanced was £168. Bearing in mind that the principal part of the income is from sales made by the publishers, and that custom of trade demands three months’ credit, it was not surprising, therefore, that at the outset we, had difficulty in meeting current bills. The difficulty was overcome by the treasurer, Mr. A. A. Hughes, making personal arrangements with his bankers. The task of collecting outstanding debts necessitated the examination of all records for a period of upwards of 12 years, for the books and papers were in a sorry state. Notices had to be analysed, in some cases for 13 years, and a complete abstract made of lines and insertions. This work was undertaken by Mrs. Fletcher. The results were compared with the published accounts of the various associations. In the main association secretaries were very helpful, but many debts could not be collected - Statute of Limitations being pleaded in one case, whilst in another we are still asked to believe that the major portion of their payments were omitted from the books. The largest amount paid by any one society for outstanding notices was £38 5s. 10d. Four other associations paid the following: £37 16s. 11d., £30 4s. 5d., £25 12s. 7d., £22 11s. 8d. Postal subscribers also proved difficult with some 400-500 accounts to deal with. In all the total amount of debts collected was £619 17s. 11d., which has been accounted for to the Executors. A brief acknowledgment from the Executors’ solicitor is the only acknowledgment received. With the valuable assistance of Mr. J. A. Trollope and Mrs. Fletcher, we have endeavoured to preserve continuity and to place the financial affairs on a proper footing. We insist that all notices and subscriptions for postal copies be prepaid. We have made fixed quarters for subscriptions to run, and our invitation to associations to deposit money to meet the cost of their notices has had fair success. Five points we would ask readers to remember: (1) We are an unpaid staff; (2) with 800 postal subscribers it is impossible to send reminders; (3) our notices use up valuable space and should be read (4) abusive and offensive letters are not very helpful; (5) it should not be necessary to write ‘Stop’ on 140 accounts, as we were compelled to do at March 31st. We are pleased to report that on three occasions we have reached the limit of the circulation permitted by the Paper Control, and as we still have a waiting list, we anxiously await the release of more paper. We are aware that some resentment is felt regarding the cutting of the notices and reports, but this, for the most part, is only a war-time measure. No doubt, now that the war in Europe is at an end, steps will be taken to consider what can be done to further increase the usefulness of the journal to all members of the Exercise, and to take advantage of the fact that for the first time in organised ringing the paper which serves the needs of ringers is owned by them. The cash position is now sound and the loans from associations have been repaid. By way of reward for the use of these moneys, we have allocated the sum of £42 to be used for further notices. The profit to September 30th, 1944, is £457 3s. 2d. Mr. W. Ayre moved that the report be accepted with the grateful thanks of the Council to all those who had put in such hard work. Mr. C. T. Coles seconded and the resolution was carried with acclamation. Mr. Ayre added that their thanks were especially due to Mrs. Fletcher. She was a tower of strength behind their secretary and they should put on record their appreciation of the work she had done (hear, hear). The Hon. Secretary said the position that arose now was that the sub-committee should be authorised to continue the work. The sub-committee was formed to negotiate the purchase of ‘The Ringing World,’ and under its terms of reference was asked to put it on its feet. The sub-committee claimed that they had done their job, and it was now for the Council to say who should be the committee to run it. The committee appointed would have to consider what could be done to meet all criticisms and complaints and sift out those complaints. He suggested that complaints should be sent to the committee rather than to the Editor. So if they had comments or criticisms, don’t trouble the Editor. Trouble the committee. Mr. A. Paddon Smith: I think we should be doing wrong if we do not re-elect the committee. If they can make a success of ‘The Ringing World’ during this awful time - and I know something of the Paper Controller and the acute paper shortage - it augurs well for the future. I am sorry we have not been asked to subscribe and take up some shares. It looks to me, if my sense of smell is accurate, that there is something good here. I move that the president, Mr. and Mrs Fletcher and Mr. Hughes be reappointed on the committee to act. The Rev. F. Ll. Edwards, seconding, said the Council should be most grateful to the committee for making such a satisfactory job. This was agreed to. Suggestions were invited, and Mr. Frank Hairs suggested an alteration of the format of the page from two to four columns and pages ½in. longer. Mr. A. Walker suggested that on the title should be incorporated the late editor’s name and read, ‘Official journal of the Central Council of Church Bellringers, founded by John S. Goldsmith 1911.’ Whatever was said about the finances of the paper, Mr. Goldsmith was a very successful editor and he gave everyone as much publicity as he could. Mr. Fletcher, in promising to give consideration to the suggestions, said there was only one way to run ‘The Ringing World’ and that was on a business footing. For that reason they had from time to time to write rather difficult letters and call a spade a spade. Unless they did that the paper would be bankrupt in a year. He had had a word with Mr. Hughes. The actual cash position was that there was £900 in the bank. It was the first time in the history of the Central Council that they had over £1,000, as with the £258 in hand they had over £1,100. They were now in a position to look to the future with confidence and go ahead with that full printing programme when possible. Mr. C. T. Coles, in asking the Council to propose a vote of thanks to Mr. J. A. Trollope, said he was probably the only man who could have stepped into the shoes of the late Mr. Goldsmith. He expressed the hope that Mr. Trollope would be spared for many years to come. Mr. E. Alex. Young, seconding, said it was an historic occasion. The resolution was carried with acclamation. Mr. Harold Poole: May I ask what is the position of the outstanding debts? Is the matter closed or are steps being taken to collect them? Mt. Fletcher: The position is that as the sub-committee who were appointed have been sacked and the new committee appointed, we can consider the matter closed. The President, in presenting the report of the Towers and Belfries Committee, said they had lost by death one of their members, Mr. Hunt, who had given a lot of advice in the West Country. Major Hesse was rather a sick man, but he heard recently that he had dealt with three or four cases. He had had two or three inquiries which he had dealt with by correspondence. The committee would be glad to receive any inquiries, and it would be possible to deal with many inquiries by correspondence if people would send a diagram of the tower showing the position of the bells and ropes. The Department of Scientific and Industrial Research at Garston, near Watford, was taking an interest in the question of the insulation of sound, and a member of their staff was writing a history of sound insulation. In response to their inquiry, he sent the report of the Council meeting in 1892, in which the general principles were set out. He had had some further correspondence and had suggested that they should visit some of the towers in the Watford district. He believed that in the near future they would know a great deal more about sound insulation. There were problems especially in regard to the increased use of concrete in church towers, because, as they knew, concrete in church towers when used in the ordinary way was not an insulator. In the case of a tower built entirely by reinforced concrete or lined with reinforced concrete, steps would have to be taken to prevent either the permeation through the concrete structure or the reflection of sound. He was not prepared to say much except that in the near future there would be on the market forms of concrete very much less permeable to sound, and it would be possible to give towers a surface that would not reflect sound. In regard to the Noise Abatement League, before the war they subscribed to this organisation because they felt it would be better that we should be friends rather than enemies, and they could help them in reducing the nuisance of noise made by certain church towers. There was no doubt whatever that bells could be a very real nuisance to the neighbourhood if the exits of sound were not properly controlled. They thought before the war that it would be well to keep in touch with these people. Recently they had a request from this League for the Council to continue its membership, and the Standing Committee recommended that they should become life members on the payment of 5 gns. Mr. E. Alex. Young, in seconding, pointed out the damage to mortar in towers by distant explosions, and said many of their towers built of brick or stone were now very much reduced in strength.- The report and the recommendation were adopted. The President said Mr. Sharpe had done a great deal of work in exploring towers and took a great interest in the antiquarian side of bells. He moved that he be invited to serve on the committee. Mr. F. Sharpe: I should be very pleased to serve. I have records of bell frames in 2,000 towers which I think may be of great use. The hon. secretary proposed and Mr. A. A. Hughes seconded the appointment of Mr. E. H. Lewis (convener), Major Hesse, Mr. E. Alex. Young and Mr. F. Sharpe to the committee. this was agreed to. The reaction of the Press at large to the ban imposed upon the ringing of bells afforded powerful and gratifying evidence of the place held by church bells in the hearts of the British people. With remarkable unanimity the London and provincial newspapers indited articles deploring the silence of the bells, called with increasing insistence for the lifting of the ban, directed attention to agitation in Parliament for its removal, as well as references to bells of victory in the Prime Minister’s utterances, and gave expression to joy and satisfaction when at length the free use of bells was restored. (c) Paying the strictest attention at all times to good and regular striking. With regard to broadcasting, such occasions as the celebration of victories have been marked by broadcasts of bells from London and other centres, culminating in the comprehensive symphony of bell music on the official proclamation of the surrender of the German forces, from Westminster Abbey to a Dorset village. It is gratifying to note that broadcasts of local interest to the Empire and the Forces have in several cases included a recording of the church bells - one such from Yeovil was heard with especially fine effect - and both in these programmes and in the Children’s Hour there have been broadcasts by young bands of ringers. On one such occasion Coalbrookdale bells were heard, and the speaker was one of Mr. Saunders’ young pupils; another time beginners at Staverton did some very creditable striking, and voices heard included those of the authors of ‘The Ringers’ Handbook,’ which has recently appeared in a new and enlarged edition. In some cases ringing has been broadcast unannounced, before a Sunday service. An eminently successful instance was that of the eight bells of Melksham, Wiltshire. In this connection there is one obvious criticism to be made; namely, that bells are not made a regular and distinctive feature of the B.B.C. programmes on the great church festivals; even Easter Day is allowed to pass without any mention of church bells. The adoption of the report was seconded by Mr. A. Paddon Smith. Mr. A. Walker suggested that those who were broadcasting should send notices to ‘The Ringing World.’ It would help. The President: I don’t know if any of you listen to the Continental broadcast at 10.45 p.m. Instead of giving the S.O.S. they have replaced it with some of the most mournful chiming on eight bells that I have heard. At least they might ring the bells and not chime them. The report was adopted, and the committee - the Rev. F. Ll. Edwards (convener), Mr. A. Paddon Smith and Mr. A. Walker - reappointed. Mr. W. Ayre, on behalf of this committee, stated there was nothing to report. The committee, consisting of the Rev. C. E. Wigg, Messrs. W. Ayre and W. G. Wilson (away on Service), was re-elected. Mrs. Fletcher reported that Mr. Goldsmith was the convener of this committee. Since his death all the papers had been handed to her. She proposed to hand the papers to Mr. A. C. Hazelden and be would go into the matter and see what could be done to pick up the threads. They might be able to report more fully after they had been through the papers. Mrs. Fletcher and Mr. A. C. Hazelden were re-elected. The retiring members of the Standing Committee, Major J. H. B. Hesse, Messrs. J. T. Dyke, C. F. Johnston, R. Richardson, A. Paddon Smith, A. Walker, E. C. S. Turner and G. E. Debenham, were re-elected, and to fill vacancies the following were appointed: Messrs. W. G. Wilson, F. Hairs, J. F. Smallwood and Percy Johnson. The ex-officio members are the president, hon. librarian, hon. secretary, hon. auditors and conveners of committees. The President said the Standing Committee had received an invitation to go to Norwich, and they recommended Norwich for the next meeting of the Central Council. It was true they had been there before, but it was in 1899, and he thought there were only two members present that day who were at Norwich at that time. In Norwich there was a good number of peals; there was a live organisation and reasonable accommodation. Mr. E. C. S. Turner proposed and Mr. A. Walker seconded that the next meeting be held at Norwich. An amendment was moved that the next meeting be held at Cardiff. Mr. J. W. Jones said at the moment there was only one ring at St. John’s, Cardiff. Llandaff bells, which were in the City of Cardiff, were not available. They were not at the moment able to make arrangements for a successful meeting there. The Rev. A. G. G. Thurlow said at Norwich there were a ring of 12 and three rings of eight, all in more or less good order. The meeting voted in favour of Norwich. In the event of the president, hon. secretary or hon. librarian, being a representative member, by any cause ceasing to be a member of the Council, it shall be competent for the Council to elect such member as an honorary member, if it so desires, to take effect from the beginning of the meeting at which the election is made, always providing there is a vacancy amongst the hon. members on the Council. The President: Mr. Coles has made sure by giving 12 months’ notice. Mr. C. T. Coles said he sincerely hoped that what he was going to say would not cause a long discussion. He regretted that the resolution regarding this society which dropped out in 1939 was put by the Lord Mayor of Birmingham, and any opposition then would have been in bad taste. During the luncheon hour it seemed that there was considerable criticism, and he suggested that it was a very unfortunate precedent to allow associations to come in and enjoy the same membership as those who had retained their membership and paid their subscriptions during that period. If the whole of the 47 or 50 associations had done exactly the same thing the Council would probably have ceased to exist. Mr. W. Ayre asked if notice to withdraw was given in 1939 in accordance with the rules. The Hon. Secretary: No formal notice was received. Mr. W. Ayre: If so they are still affiliated and must pay up. I would go so far as to ask for the motion to be rescinded. The President: I do not think there is a possibility of rescinding it. I would suggest to you that as the matter was passed we leave it as passed. It might be recorded in the minutes that views were expressed that this should not form a precedent and we hope that the member of the Gloucester and Bristol Association will take back with him that a number of members of the Council were against the affiliation, and if the circumstances were different there would have been a good deal of opposition. Mr. P. J. Johnson declared that the resolution, despite the fact that it was carried, was out of order. The Secretary said the point overlooked was that the Council as such served a triennial period of three years. That day was the first session of a new Council, and, in accordance with common practice the Gloucester and Bristol Association had applied for affiliation from that meeting. A member: Do I take it that the Gloucester and Bristol Association refuse to pay their back subscription? The President replied in the affirmative and suggested that the Gloucester and Bristol Association representative should take these views back to his association. Mr. W. B. Kynaston said he would he pleased to do so. Mr. Guise wrote to him saying that he had received an account for their subscription, and his (the speaker’s) opinion was that they should pay on the basis of membership as before. That was last November. Last Tuesday he received a letter stating that the majority of their members were against the payment of arrears and that £1 had been lodged with Mr. Fletcher so that if the Council decided in their favour their representative would not be debarred from taking part. When he received that letter he felt very small. The President proposed a vote of thanks to the Archdeacon of Aston for saying the prayers, and also to Mr. Paddon Smith, who was responsible for making the arrangements whereby they got the hall, to Mr. T. E. Reeves, to Mr. Albert Walker for making arrangements for the ringing, and to the steeplekeepers. Congratulations were also extended by the president to Mr. E. A. Young, who was celebrating his 80th birthday. The concluding vote of thanks was that to the president, proposed in graceful terms by Canon G. F. Coleridge.